The story behind the second Acid Ranch release and the hand-screened LP covers. The second release from Acid Ranch. The delightful sounds of Robert Pollard, Jimmy Pollard and Mitch Mitchell in the basement. Recorded in the early to mid 80s. 525 copies pressed. Each cover features a hand made screen over an already released album cover. Back cover has a hand pasted lyric sheet. Inside LP has no label on the vinyl. True bootleg feel to this release in all ways (appearance and sonically - MP3 of I'm Not Lookin' [ed: download available] is indication of sound quality). Where can I view some of these hand-screened LPs? Acid Ranch is a Guided By Voices side project featuring old basement recordings by Robert Pollard, Mitch Mitchell, and Jimmy Pollard. The first Acid Ranch 2LP set Some Of The Magic Syrup Was Preserved was released in 2002 as part of the Fading Captain Series (#19). 500 copies were pressed on black vinyl. A booklet was included with the records. The second Acid Ranch release was on Rockathon Records (ROCK-04). Why does the back cover only say Forever and not Acid Ranch? What is the official album title? 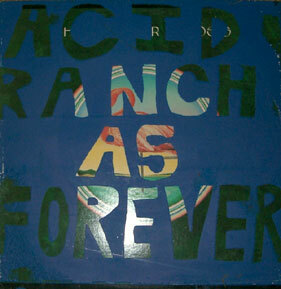 Acid Ranch is the name of the band but for this record they are called Forever, hence the Acid Ranch As Forever. Officially the title of the LP is A Manifesto Of Fractured Imagination And Wreckless Living by Forever (which is really Acid Ranch). Confused yet? If not, see Suitcase & Suitcase 2 in the GBV discography. What is so special about this release? Each cover was hand-screened over an existing LP jacket so each one is unique. The first information on this release mentioned only 300 copies. Then it soon ballooned to 500 and then finally 525. 475 of those were sold to the public on 12/7/2005 while 50 were kept for promo/friends. The 475 copies sold out in a day or so. The sale information was only posted to the Strong Lions mailing list, Postal Blowfish mailing list, and the Disarm The Settlers discussion board. How were the hand-screened covers made? The hand made covers were completed over a period of 4-5 months by Robert Pollard, Rich Turiel (GBV/Bob tour manager who runs Rockathon Records), and Chris Slusarenko (former GBV bassist). The paint colors used were blue, purple, and pink. It was done with paint and a screen. There were a couple of different screens. The album sleeves (without records) were bought at thrift shops. Some were bought in bulk and some were hand-picked. The only GBV-related albums used were the Colonel Jeffrey Pumpernickel compilation and a Phantom Tollbooth Beard Of Lightning LP. 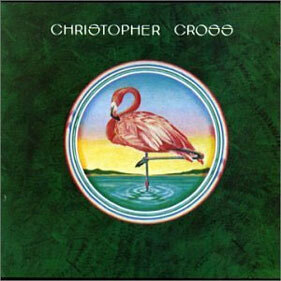 A few of the albums were used more than once including Christopher Cross (at least twice) and Streisand's Superman (at least three times). What is the story with the screens? Handmade or professional? How many? There were two screens. Info from Chris Slusarenko: "The first screen printed only about 150 covers. They are the more hand cut looking lettered ones because that's what they were--hand cut paper fixed to a screen. They often fell off which is why some covers have finger prints for letters and such. The second screen was professionally made so we could move quicker on the screening. Also they took forever to dry since it was ink on a slick surface. So often grass, dirt, animal paw prints made it onto the covers due to the 2 to 3 day sunbaking job. There was only a few purple made up because for the last screening there was only a bit of pink and blue left." Does it come with the original LP? Is just the front cover painted? What about the spine? The record jackets were bought at thrift stores without the original records in them. The Acid Ranch record was placed in the sleeves. As far as I know, only the front covers were painted using the screen. The original album artist/title is visible on the spine (if the jacket has one). Also, the back cover has the hand-pasted lyric/credit sheet which takes up almost the whole back cover. Some of the releases are gatefold LPs. A few are even box sets. What is this draft business? Once all of the LPs had been completed a draft was held in Rich's backyard with some of it supposedly filmed by former GBV drummer Kevin March. 50 of the 525 copies of the albums were selected by Bob, Rich, and Chris. "Basically we layed out about 100 or so covers and then Bob had first pick, I had second pick, Chris had third pick. We went that same way until we each had ten and then Bob and I had ten more picks back and forth. Bob gave one of his picks to Heed, one of his picks to Demos and one of his picks to Kevin March." Rich's first draft pick was World's Greatest Music Series - Beethoven - Symphony No. 5, in C Minor. Greg Demos picked Todd Rundgren's Hermit Of Mink Hollow and Heed picked Hall & Oates Rock And Soul Part One. Some of the LPs actually have grass and leaves stuck in the paint from draft day! Were the album titles used written down? Why not? Due to the already huge amount of time spent on the project the releases used were not cataloged since that would have taken additional time that just wasn't available. This is what I am attempting to do on GBVDB. Any totals on the # of Artists, # of albums used, # of gatefolds, # of each color? Yes. Go to the Acid Ranch Stats page. How did the various copies get assigned to people? Were any hand-picked to be shipped to specific people? The LPs were boxed up and then put in a huge pile. Later on, once the orders were placed, they were labeled and sent out with no knowledge of which LP was inside. So, the albums people received were basically random (this just applies to the 475 copies sold to the public - the other 50 copies were drafted and actually hand-picked in that process...see above for details). Bob came up with the idea for the Acid Ranch cover art concept a few years before it was actually executed. There was a Built To Spill Car/Girl 7" that used original LP jackets cut down to the size of the 7" so that each record had a unique sleeve. Each 7" had the same sticker placed on it. Not sure if this may have influenced Bob at all. Isn't "Supersonic Love Funky Love Gun" on another release? Yes. The same song is available on the Guided By Voices Suitcase 2 box set. Where have I heard of "Beautiful Plastic" before? On the DVD version of Watch Me Jumpstart, the GBV documentary film by Banks Tarver, an additional short film called "Beautiful Plastic" is included as a bonus feature. This film has footage of Bob thumbing through old notebooks and singing some lyrics to some of the songs. One song he sings is called "Beautiful Plastic". I hear something strange. Are there audio glitches on this Acid Ranch LP? Digital noise on a vinyl LP? 1) In "Congratulations You're Under The Sedation" there is a fast forward CD sound. That is in there on purpose. 2) In "Psychopath Thermometer" there is the all so familiar CD burner sound for about the final 45 seconds which is what I was referring to in my comments about it not being perfectly sonically. 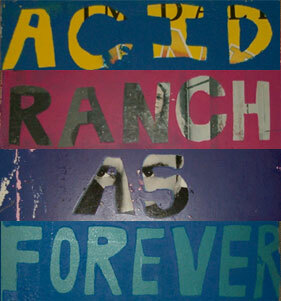 Special Thanks to Rich Turiel and Chris Slusarenko for providing info on Acid Ranch As Forever. order page when the album was for sale.